LISLE, ILLINOIS (July 2, 2011) – Midwest Real Estate Data (MRED) (www.mredllc.com), the Chicagoland multiple listing service (MLS), has analyzed a series of metrics and confirmed the Illinois real estate marketplace in May was one of the best in some time. According to data from MRED and other MLSs around the state, and compiled by the Illinois Association of Realtors®, year-over-year median prices rose for the first time in forty-nine months in the Chicagoland area. For the first time in twenty-two months, median prices rose for the state of Illinois as a whole. Sales numbers across the state could be described as robust. Focusing on its own vast database, MRED uncovered some other promising numbers. May 2012 closed transactions were up almost twenty-five percent (25%) over May 2011. Traditional transactions (versus foreclosure/REOs and short sales) are a growing segment of the overall market, up from forty-seven percent (47%) of all transactions in February 2012, to over sixty-three percent (63%) at the end of May. 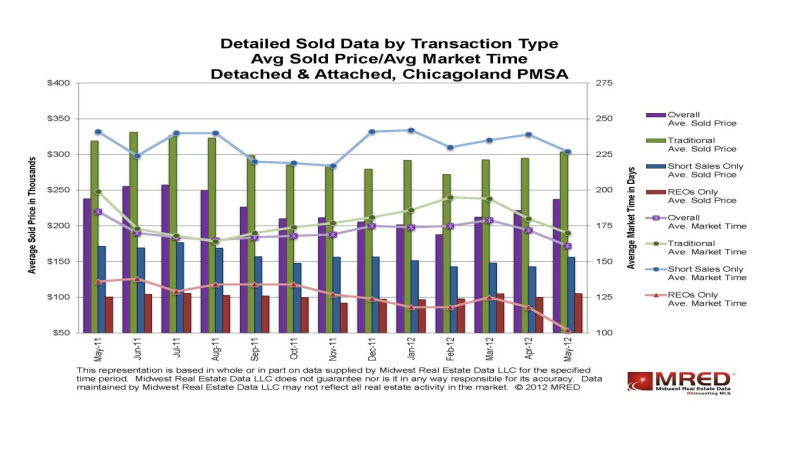 All transaction types are showing a month-over-month increase in average sold price. In fact, MRED reports three consecutive months of overall average sale price increases, with a jump of over twenty-six percent (26%) since February 2012. The average market time has been declining since April 2012 throughout all the different transaction type segments. MRED metrics are a great indicator of the overall health of the real estate marketplace. 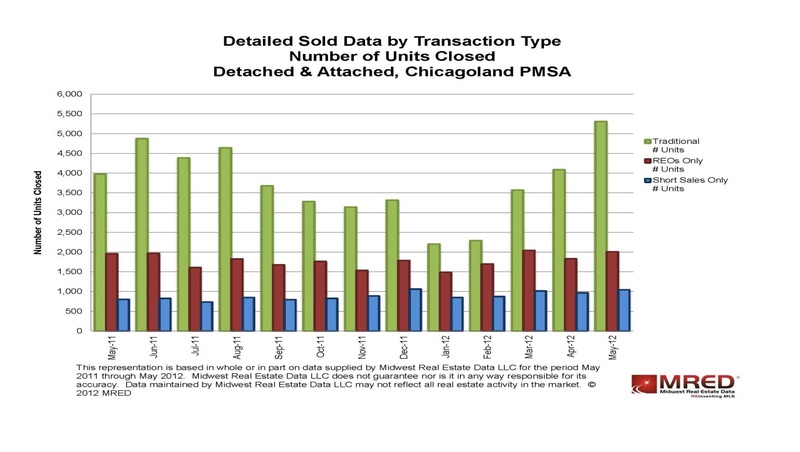 The MRED database contains approximately ninety percent (90%) of the Realtor® transactions in Illinois, housed in its connectMLS™ system, which is accessed by about eighty-five percent (85%) of the Realtors® in Illinois.